View Poll Results: Do you find Nvidia's Shield an attractive option for gamers? Yes, this definitely grabs me by the nosehairs, I’m in! No, I’m not interested, even if it grabs me by my nosehairs. 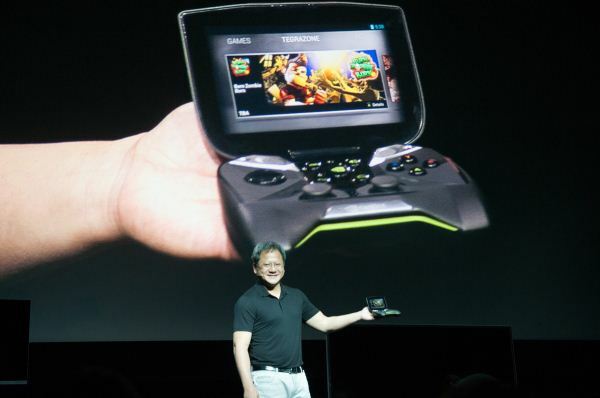 So you may or may not have seen the news from CES 2013 all over the internet - not only has Nvidia created a monopoly for itself in the cloud with Geforce Grid, which I'll be discussing at a later stage, but its also entered itself into the cloud gaming market with something a little different - Geforce Shield, a proprietary handheld console, complete with software and services that basically allow you to run your own personal cloud gaming network. Lets check it out together and discuss the hardware that's going to power it. I wouldn't say it's proprietary. Runs pure Android and has access to the play store. So any Android games will work on it. First things first, there’s an intentional resemblance between this thing and Nintendo’s Wii U gamepad or even Sony’s Vita. Would say looks more like an Xbox controller. Since when? It streams PC games over your local LAN if have a GTX650 or higher graphics card. No idea where you got 400 series from. I think you totally missed the point of the device. I'd say its pretty proprietary so far. I can't imagine Nvidia launching this and saying. "Here you go, hack it and install your own customised crappy launcher!" What about Shield did I miss? Last edited by Wesley; 09-01-2013 at 06:19 PM. On the software side of things Project Shield is running what NVIDIA is calling “pure Android”, which in this case is presumably a reference to them not doing any skinning/customizations, ala MotoBlur, TouchWiz, and other OEM customizations. It is, at least currently, based on Android Jelly Bean OS, or according to Nvidia CEO Jensen Huang, pure Android with no custom UI. Thank God for that. When I said you aren't getting the point of the device I meant you're focusing way too much on Grid. Some articles haven't even mentioned Grid functionality at all. Grid functionality will just be a nice to have that I'm sure will hardly be ever used. Your article makes it seem that you will need an always on internet connection to use the device when that's definitely not the case. Honestly? I think this is pretty stupid. So it's a handheld device that only plays android games when you're not at home. And when you are at home you can stream Steam games over wi-fi. Instead of playing them on your monster rig. Dude, if I'm also missing the point, please enlighten me, but I see this bombing so bad (I hope not though).